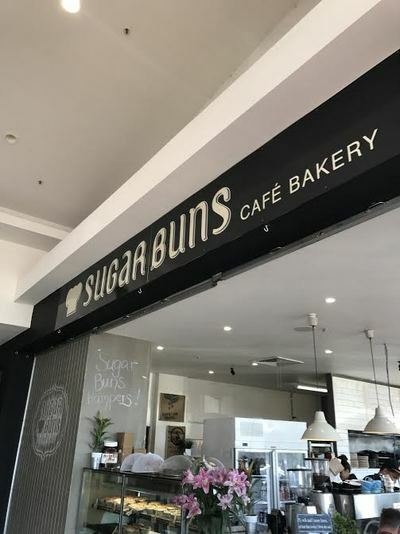 If you haven’t taken the kids to Sugar Buns Bakery Café, then now is the time to book a table. The photos speak for themselves, hey? They are experts in Mega Shakes. 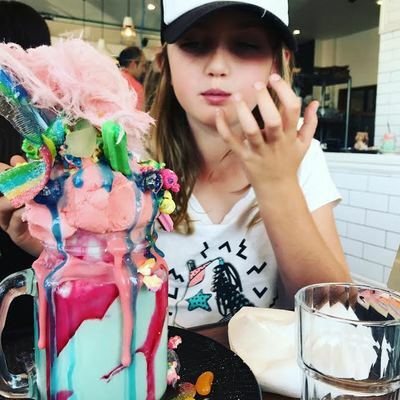 The biggest, yummiest, stickiest, sugariest milkshake in the universe. 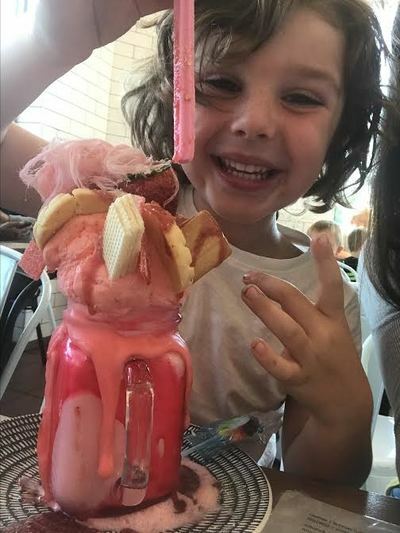 A milkshake topped with lots of ice-cream, icing, lollies, biscuits, shortbread, tim tams, fairy floss, you name it, it’s there. The children were so excited to see the milkshake coming towards them, I couldn’t keep them on their seats. They really are incredible. It’s definitely worth a trip, not just for the milkshakes, the coffee is great too! The menu is extensive, the cakes, and the savoury food looks delish. We only managed the milkshakes today, but I will definitely be going back to try their famous Brekkie menu.